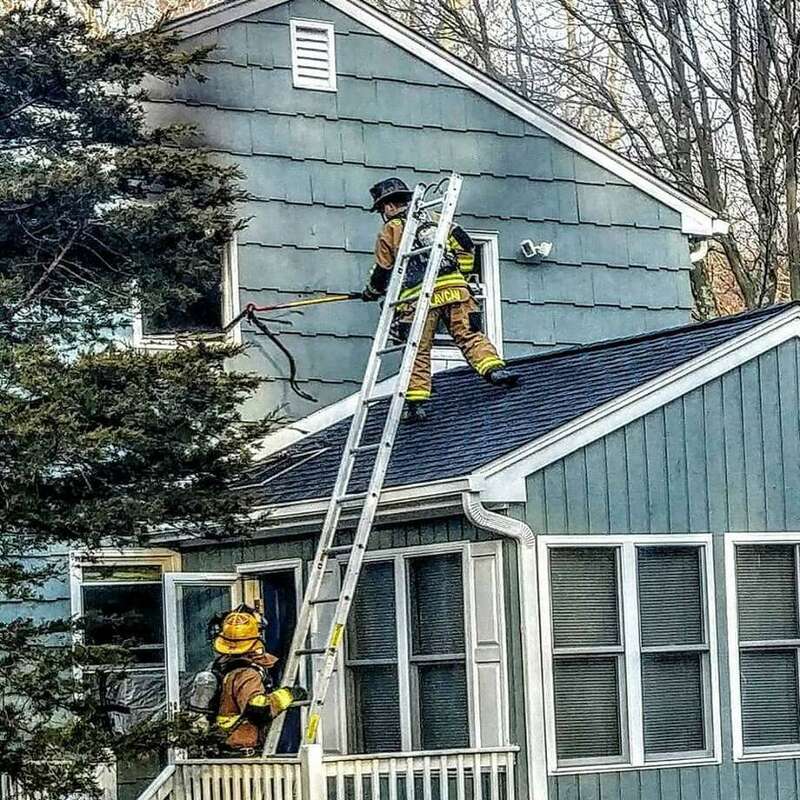 Shelton firefighters battled a blaze at a Gray Street home Feb. 10, 2019, that involved several crews, but no one was injured and damage was kept mostly to one part of the house. SHELTON — Firefighters battled a blaze at a Gray Street home Sunday afternoon that involved several crews, but no one was injured and damage was kept mostly to one part of the house. According to a post on the Echo Hose Hook and Ladder Co. 1 Facebook page, firefighters received a call about 4:15 p.m. of a structure fire on Gray Street. Shelton fire chief Fran Jones said two people were at home at the time of the blaze but were safely evacuated. When firefighters arrived, they found a fire in the home’s second bedrooms. Jones said the fire was put out quickly enough that the damage was mainly contained to the bedroom. He said the house is livable, though the occupants did received some assistance from the American Red Cross. No firefighters or civilians were injured in the fire, Jones said.